Bandhas makes a major contribution to the cleansing process in the body. They assist in unblocking the flow of energy in those parts where toxins or waste has subsided. The Sanskrit word ‘Bandha’ means ‘to seal’ or ‘lock’. During the practice of a bandha, we seal or lock a particular area in the trunk by the means of compression or contraction. The major bandhas in the body are Jalandhara, Uddiyana and Mula Bandha. Jalandhara bandha includes the compression of windpipe and esophagus by pressing the chin against the neck. Uddiyana bandha includes the contraction of the area between diaphragm and pelvis. Mula bandha includes the contraction of the muscles between navel and pelvis. When all combined together in a single practice they acquire a superior name ‘Maha Bandha’. 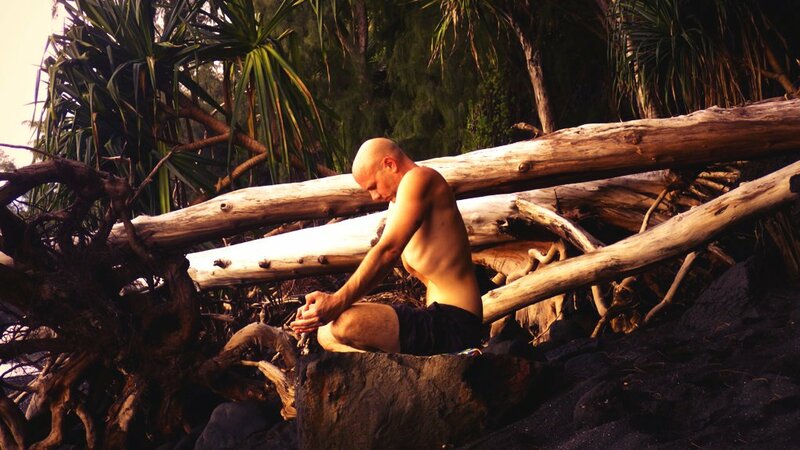 The benefits of them all enhances when a practitioner perform Maha Bandha. The simplest among the three is Jalandhara Bandha. It is the first bandha that you learn and must master before commencing to other two. The practice of bandhas is classified as an advanced practice. The safest way to learn them is under the guidance of a knowledgeable and experienced yoga teacher/instructor. One should never learn or practice them on her/his own as that would mean risking the health. It’s important to sit in a comfortable meditative posture to practice bandhas. The spine must be straight before you begin. To apply Jalandhara Bandha, draw the head slightly backward. Lower the chin to place it in the pit between the collar bones. There is how you bring yourself in the Jalandhara Bandha. Click here to know more about Jalandhara Bandha. You are not eligible to practice Uddiyana Bandha till you haven’t mastered or have become sufficiently well in Jalandhara Bandha. Most often Uddiyana bandha is assumed as the contraction of the abdomen. But it is important to pull the abdomen upwards to practice it correctly. The diaphragm pulls up as you pull back your abdominal muscles. Releasing the Uddiyana bandha must take place very slowly. As you realize that you can’t hold the breath inside anymore, you should not come out of the bandha with a jerk. Rather you must prepare (mentally) in advance to release Uddiyana Bandha. When you rush to release the bandha, you are likely to experience choking after its practice. Beginners shall practice only contraction and relaxation of the abdominal muscles several times for a few days. In the ancient times, the practice of Mula bandha was quite different from what it is now. Earlier a yogi would move into Mula bandha directly from Uddiyana. To acquire so, you release the upper muscles of the abdomen. The contraction of the lower abdomen continues to convert Uddiyana bandha into Mula Bandha. That is possible only after mastering Uddiyana Bandha. In modern yoga, a practitioner is instructed to contract and pull up (towards the spine) the certain muscles of the perineum to achieve Mula Bandha. That’s not all about Mula Bandha. To know more click here. Advance Yogis used to practice Bandhas in conjunction with asana and pranayama. To be capable of doing so, one has to first master all three bandhas separately as well as together. Such practice would intensify the effects of both asana and pranayama. Practicing Bandhas directly influences chakras. Chakras are the vortices through which the pranic energy travels in the body. They lie within all of us in a dormant state which can be activated through various yoga practices. One such practice is that of bandhas. Each bandha have an influence on a specific chakra. Jalandhara bandha stimulates Vishuddhi chakra. Uddiyana actives Manipura chakra and Mula bandha impact Muladhara chakra. On activation, they offer a vast range of changes in the human body. All 7 chakras (including the 3 mentioned) benefits the practitioner on spiritual, psychological and physical levels. Have a look at how each bandha kindle three chakras respectively. Ancient yogic texts mention that Amrita (the nectar of immortality) is created at Bindu chakra. From there, it falls on Vishuddhi chakra (the centre of purification). This nectar is then purified at Vishuddhi to be used throughout the body. But since these chakras remain dormant, the nectar passes down to digestive fire and burns. Jalandhara Bandha prevents this nectar to fall into the digestive fire. Manipura chakra is also known as solar plexus chakra. This chakra regulates the functioning of abdominal organs. It is also responsible for many psychological behaviors in humans such as self-assertion and predominance. Someone with active Manipura Chakra will be full of liveliness, vitality and a strong will to fulfill his/her ambitions. The practice of Uddiyana Bandha stimulates and awakens Manipura chakra. In Muladhara chakra resides the Kundalini Shakti (the form of primal energy). If one can awaken this power, he/she acquires the most superior form of consciousness. The person becomes capable to travel the Kundalini shakti up to the Sahasrara chakra. This leads to the union with the pure consciousness, Shiva. The lord of the lords, Shiva created yoga as means for humans to reach beyond all that has ever been created in this universe. Share your opinions of 3 bandhas in the comment section below. Help us reach more people by sharing this post with your friends and family.